This project was 4 months in the makings (mainly as the first one failed), but worth the wait! It’s a simply bonkers idea. 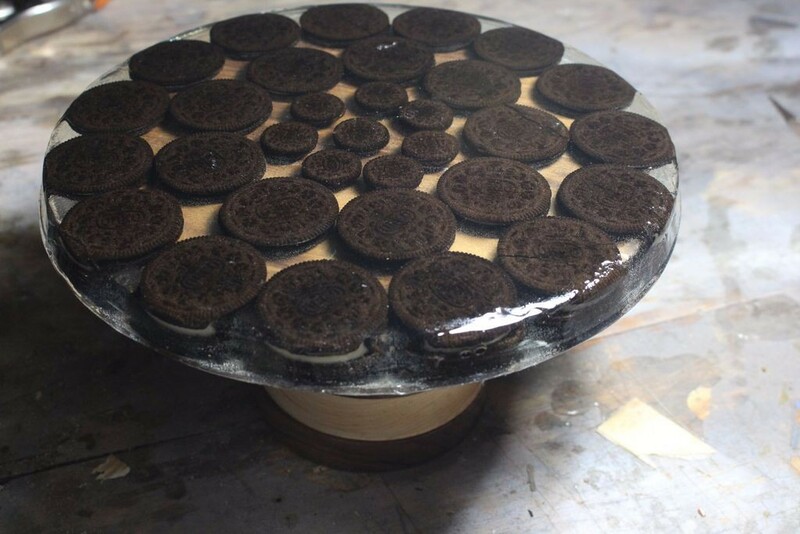 OREO Cookies in resin with a walnut and maple base! 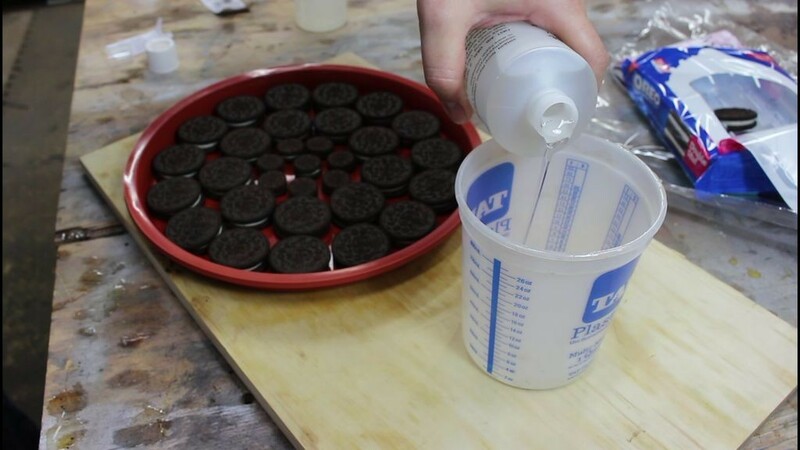 The epoxy I used is not rated for sustained food contact, so simply add a glass dish to the top, or use cupcakes! 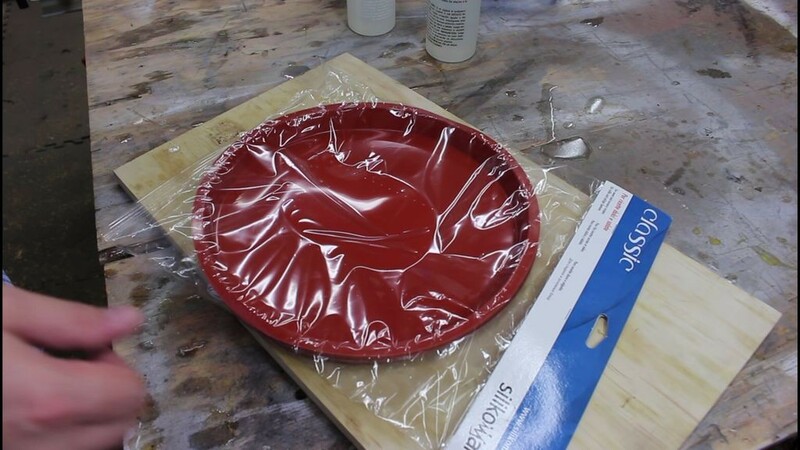 I started with an 11″ silicone pizza mold I bought online. 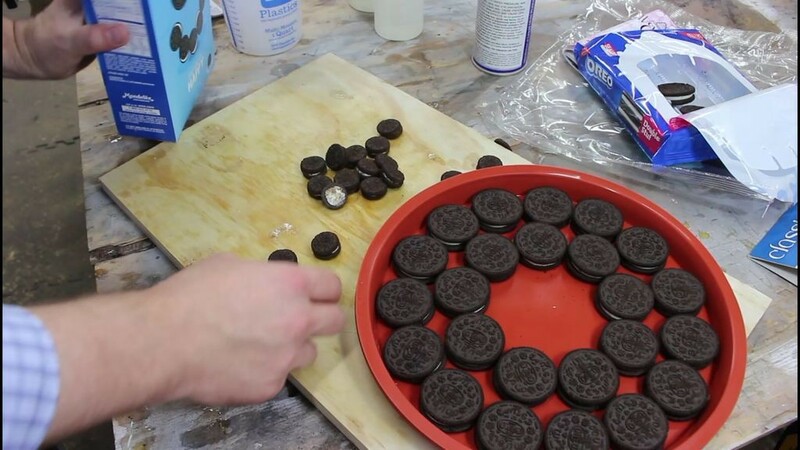 I sprayed the silicone with mold release and then began laying out double stuff OREOs in a circle. I ended up switching to the mini OREOs to get my inner circle as tight as possible. 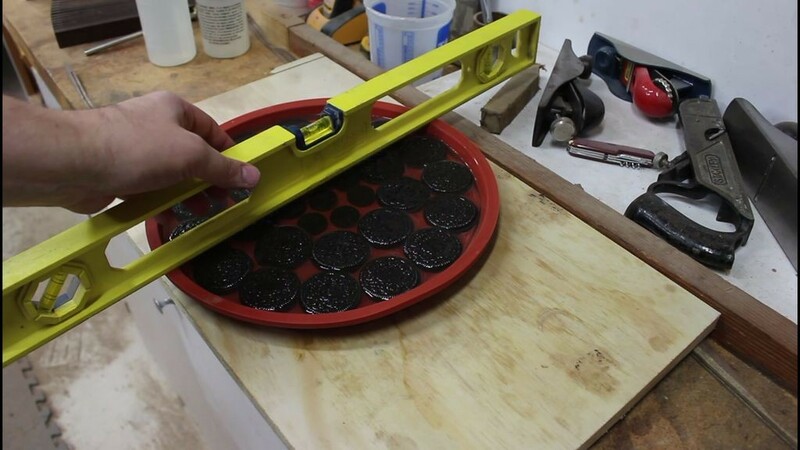 If you have a problem with seeing OREO cookies encased forever in resin, look away now!! 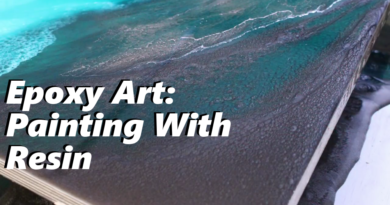 The epoxy I’m using is called EasyCast. It works very well, but you need to mix it in a 1 to 1 ratio and get that ratio as close to exact as possible. 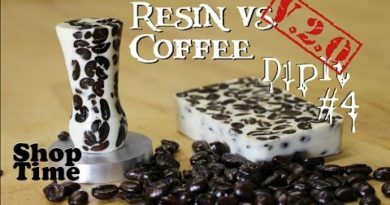 Resin is made up of two parts, one bottle of resin and one bottle of hardener. The directions say it should be slightly above room temperature before use, so I let both bottles sit in warm water before beginning the first pour. It is very stinky stuff and wearing a respirator is pretty much required. 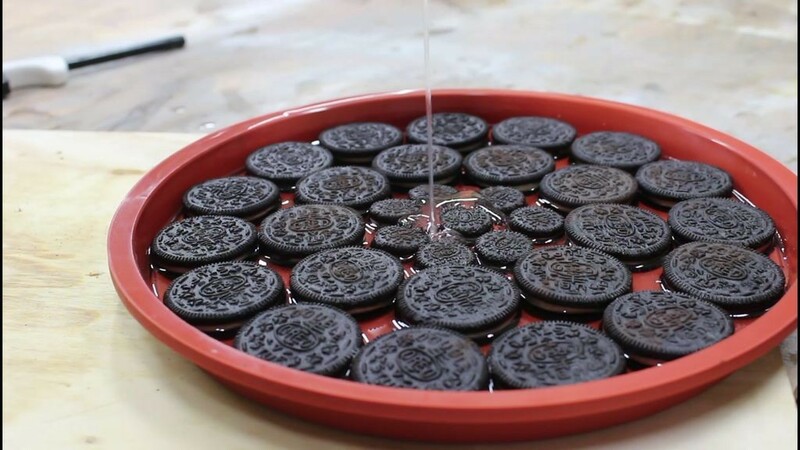 Then pour the first 6 ounces. After a pour you will get a number of bubbles. Bubbles will spoil your casting if you let them. I decided to hit it with my propane torch. 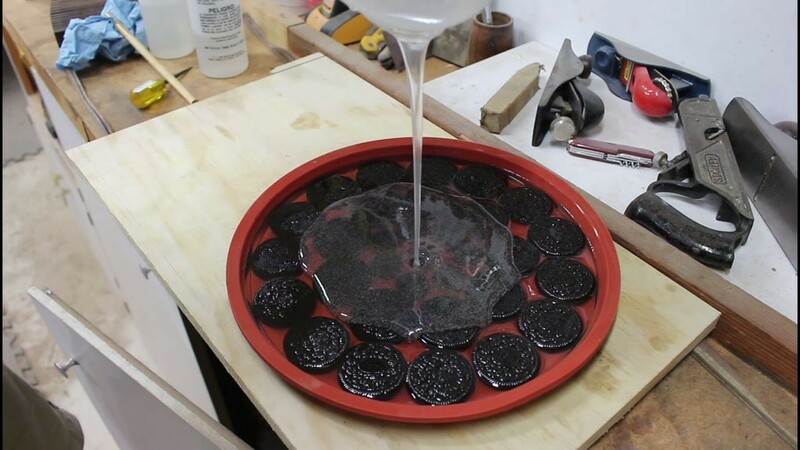 It is best to use the lowest setting possible, because too much heat can destroy a casting and burn the resin. A few quick passes and the bubbles were all but gone. It is a good idea to check on your casting 20 minutes after the pour. 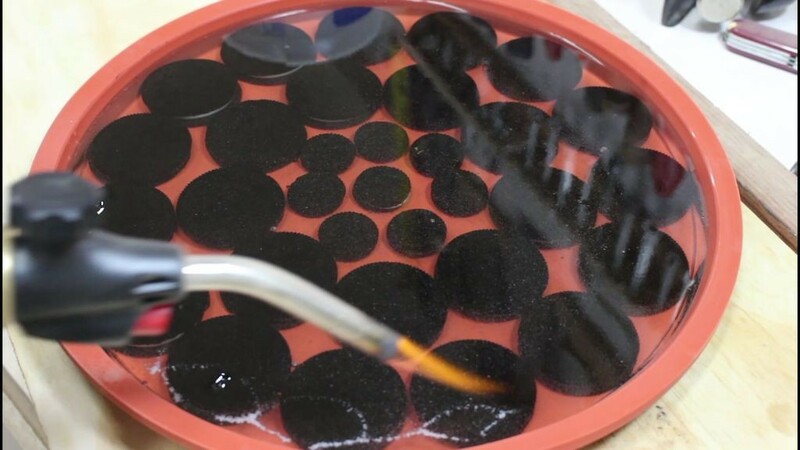 If there are any more bubbles pop them with heat before it sets. 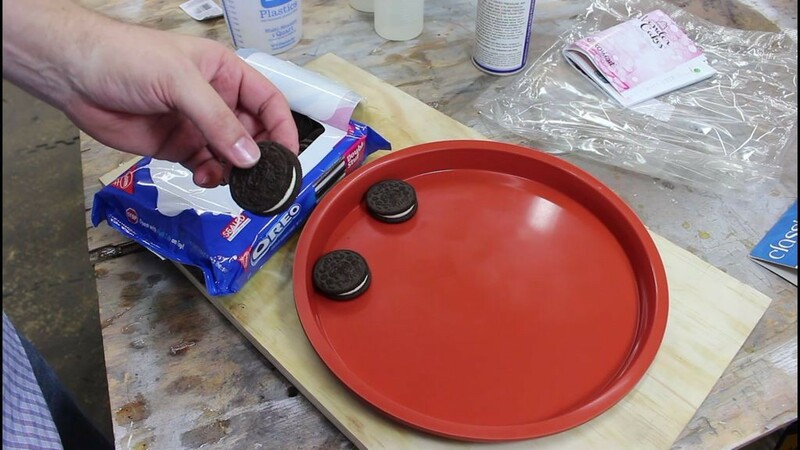 It took me 4 pours to get this to completely cover the OREOs. I waited 24 hours between pours and 3 weeks after the last one for it to completely cure and harden. Even after that I ended up doing one more pour to make it a bit thicker. So the total amount was 30oz, give or take. Step 3: On to the Base! So while I had three weeks to kill, I decided to tackle the base. 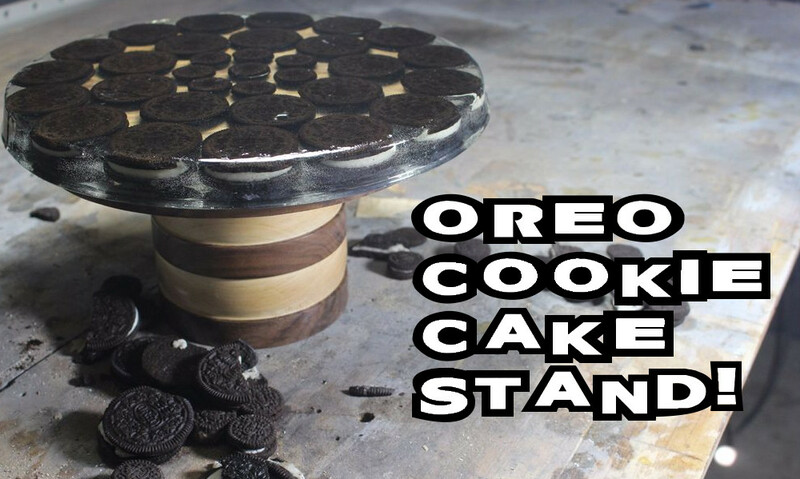 I cut three pieces of walnut and 2 pieces of maple into 4″ squares and glued them up into an OREO themed base. While the glue was drying I turned to the top. 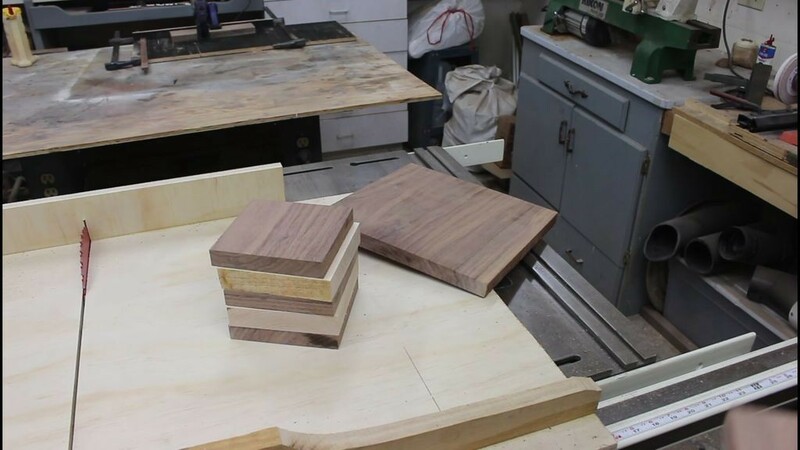 I took a 1/2 thick piece of walnut and cut it to 8″ square. 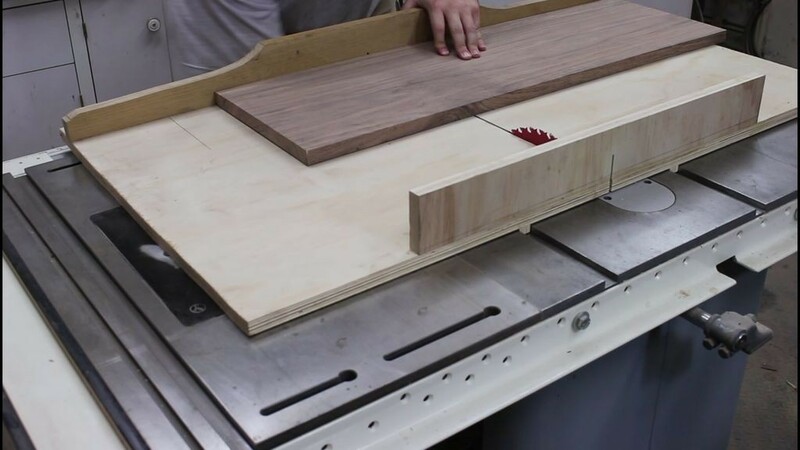 I then broke out my band saw circle cutting jig. 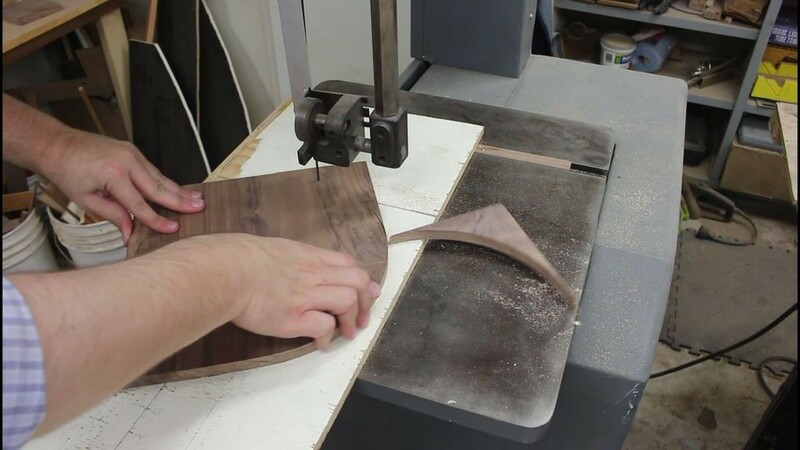 Cutting a circle on the band saw is a great way to cut a fast and accurate circle! 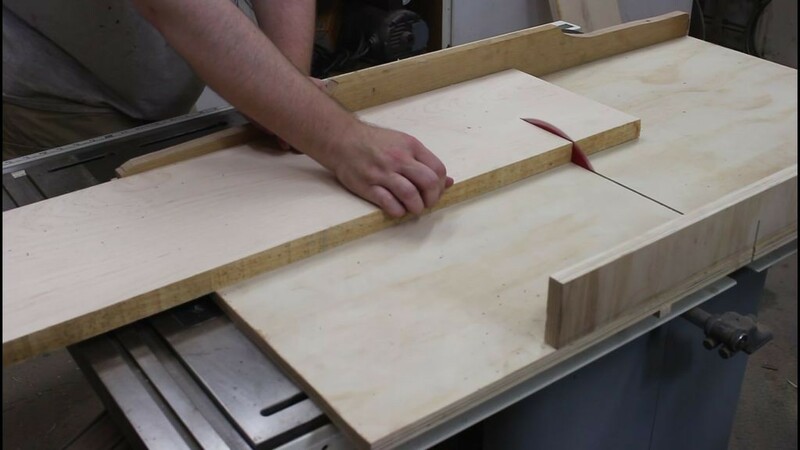 I recommend taking the time to make a circle cutting jig. 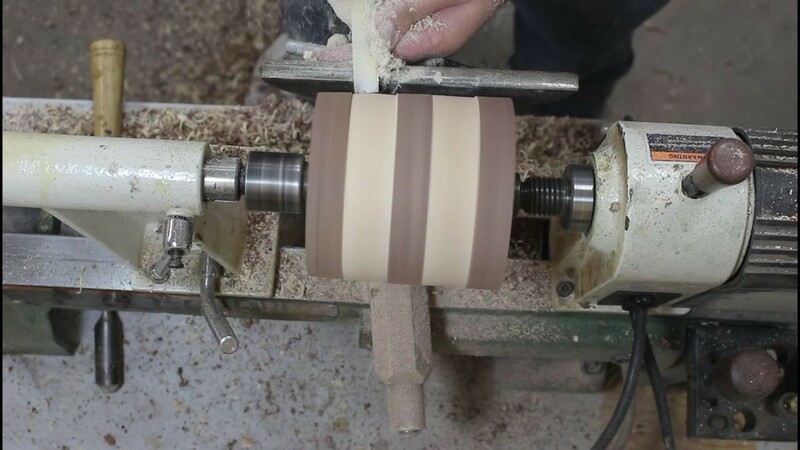 Once the 5 block lamination was try I knocked off the corners on the band saw before mounting it on the lathe. I mounted it between centers on my lathe. It was a quick turning. 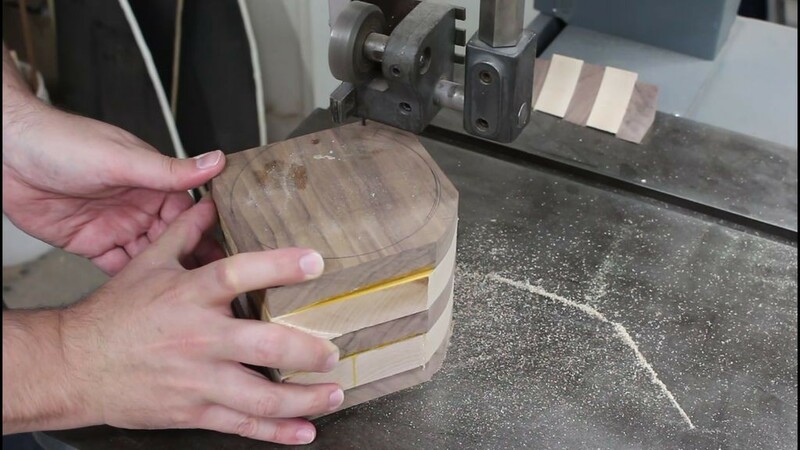 Got it into round with the roughing gouge and then used my scrapers to recess the maple into the walnut to continue with the cookie illusion. I didn’t want the base to out shine the top, just give a little nod to it. 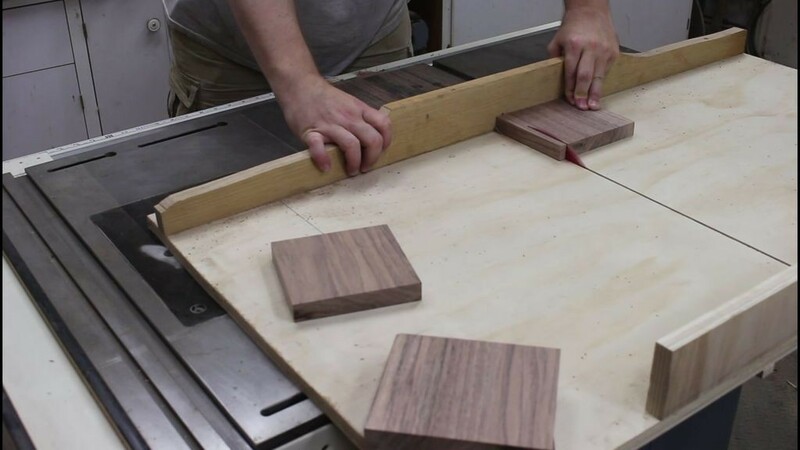 I also gave the walnut a rounded edge on all the corners, again as a nod to the OREO look. 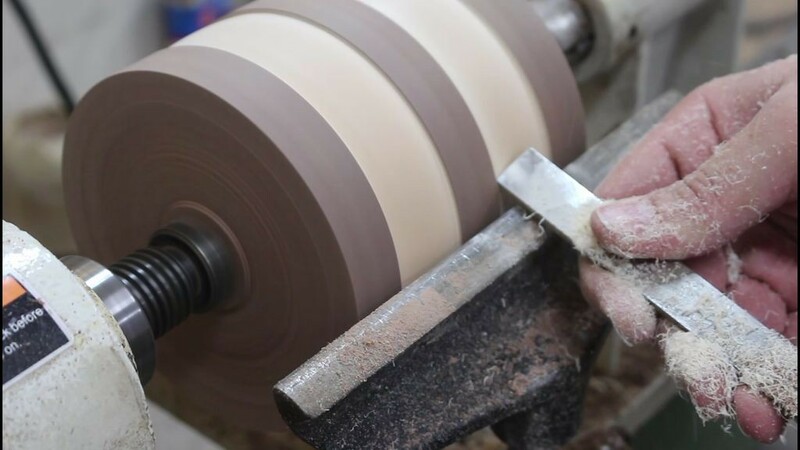 If you take a light cuts with a sharp scraper you can get a very clean surface that will require very little sanding. 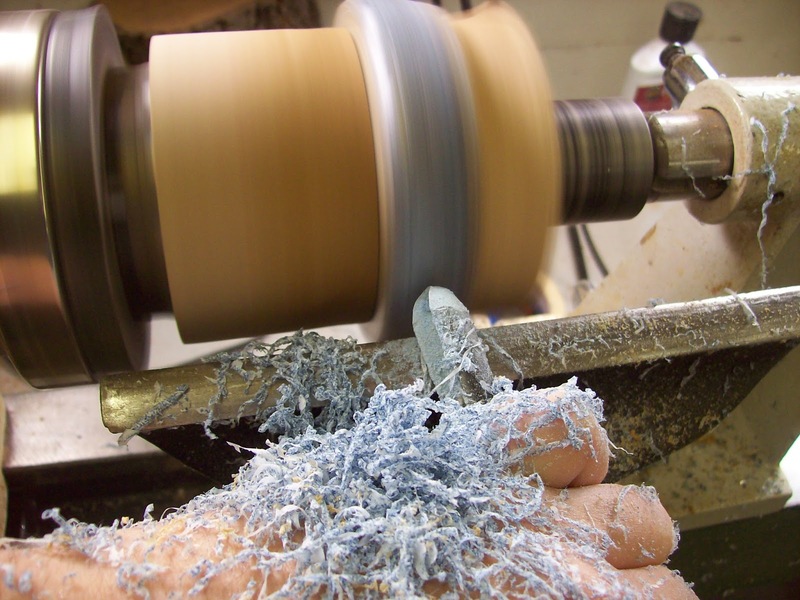 Which is always a good thing.I used 220 grit sand paper to finish up before taking the cookie column off the lathe. Next I joined the top and bottom with a 3/8 dowel and some wood glue and waited 24 hours to wait for the glue to dry. The last was a few coats of gloss lacquer for protection. After the three weeks of curing curing time, I removed it from the mold and set it on top! All ready for some serious baking! 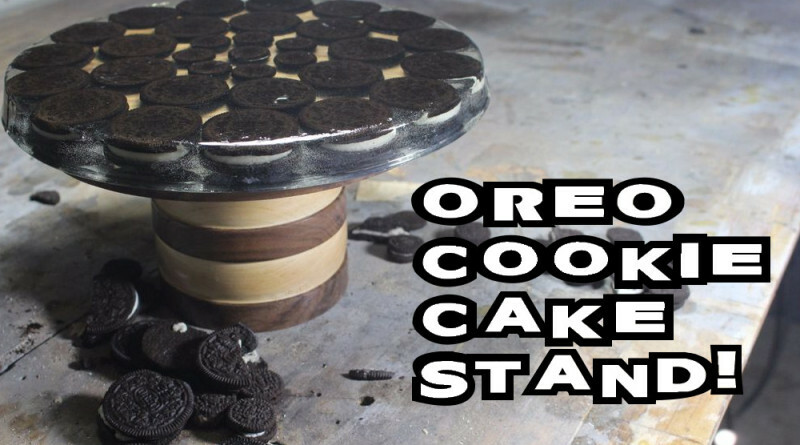 I ended up not gluing the OREO’s top to the wood base as it gave the user more flexibility. It could then be a plate, or stand. 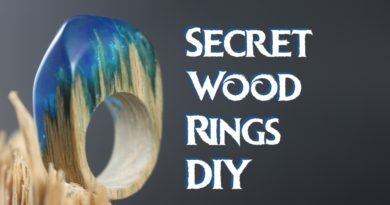 Also replacing the resin to with say a glass plate would give the piece a more grown up feel if that look was preferred. 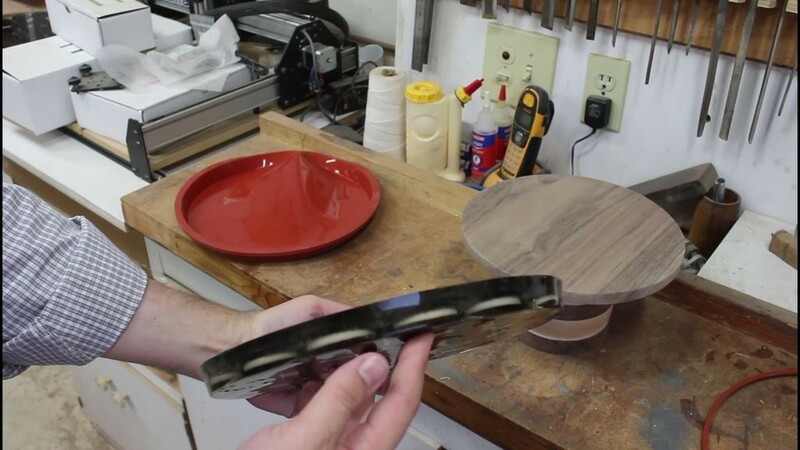 The top measures 11″ in diameter and it’s about 5″ high. 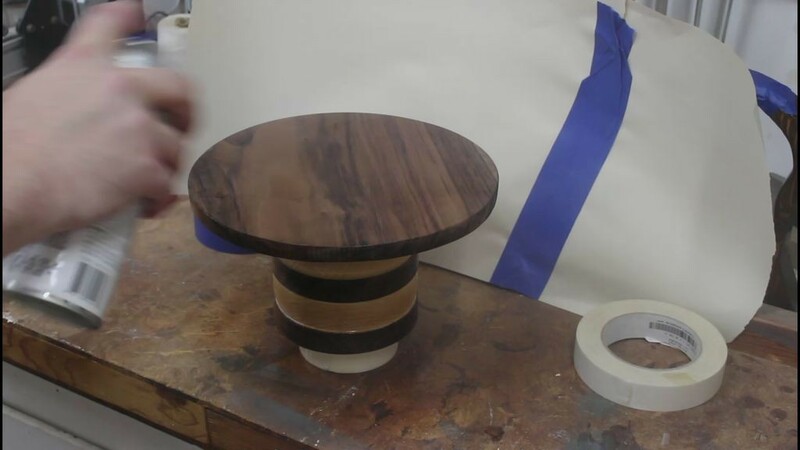 Also the resin top is not secured to the base to allow each piece to be used individually as well! ← Black Light Bangle From Black Locust!